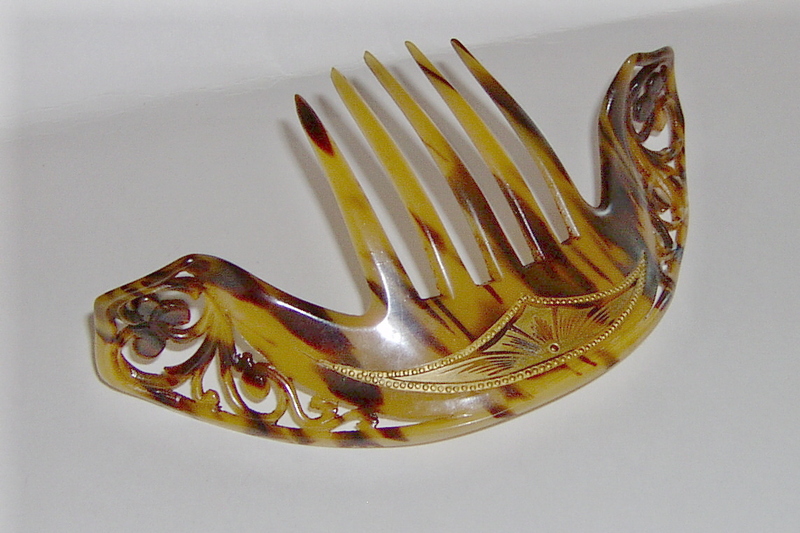 Very unusual vintage Regency style celluloid hair comb with delicate gold decoration and beautiful flipped up ends. 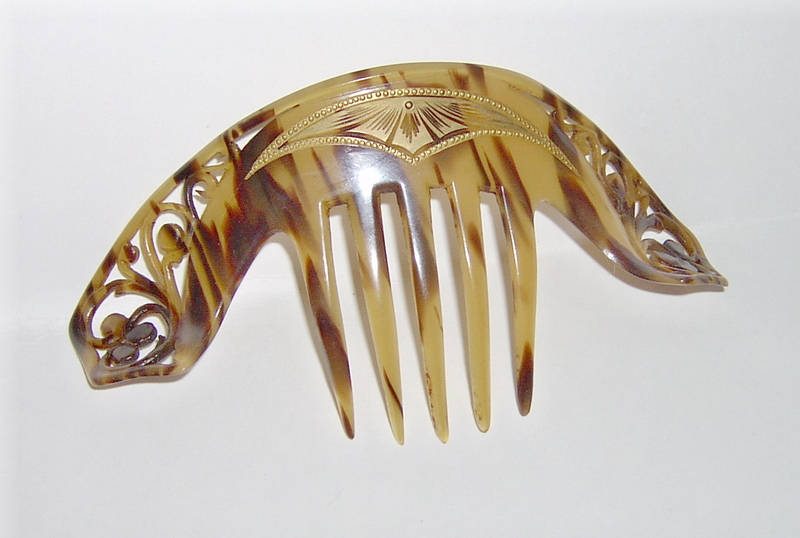 These curved all round with definite pronunciation. 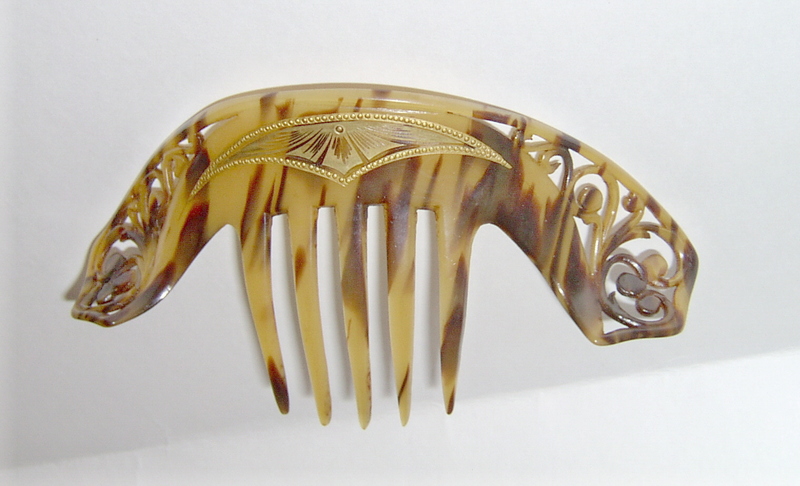 It measures about 6" across at the widest point and about 3 1/4" in length. It is in excellent condition for it's age.